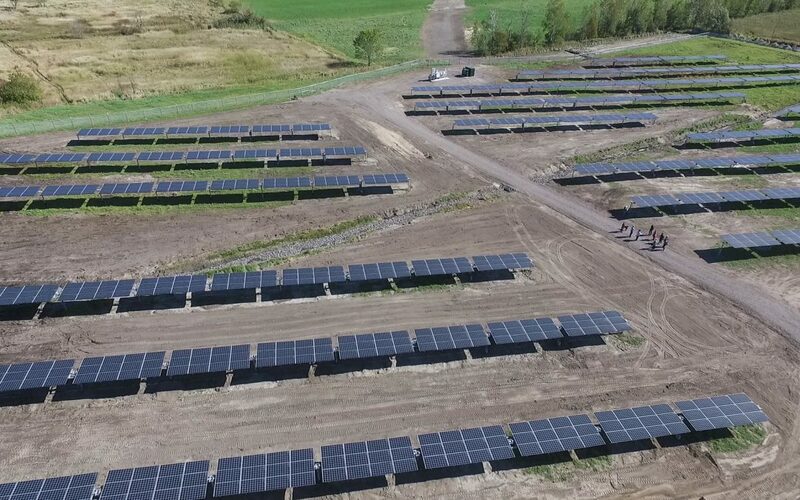 The Ottawa Renewable Energy Co-op recently finalized agreements to officially secure another 500-kW ground-mount project just East of the Town of Hawkesbury. The project is co-owned by the Taykwa Tagamou Nation and the Hoy family, on whose land the project is being built. Like the Co-op’s project in Alfred, ON (pictured above), this project will employ the use of single-axis trackers, allowing them to track the arc of the sun and increasing the project’s efficiency as a result. The project is expected to produce approximately 890,000 kWh of clean, renewable energy per year, enough to continuously power 100 homes for a year. This project will be feeding the Ontario grid for the next 20 years. The project is being built on land deemed unusable for agriculture, located just across Highway 17 from the East Hawkesbury Airport. Previously, the land was used for sand production.